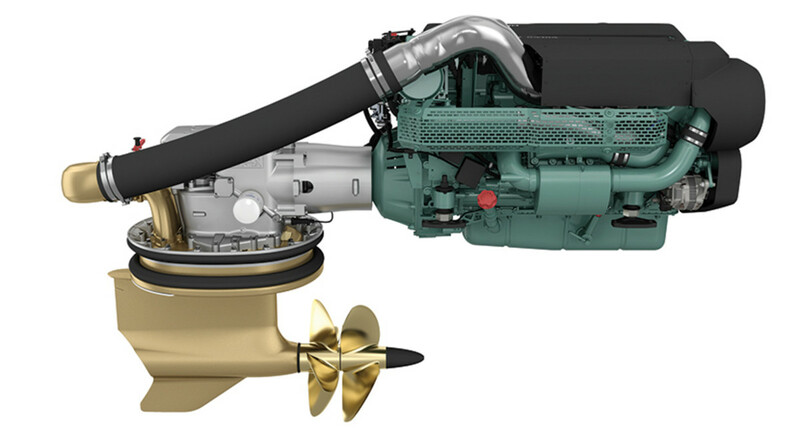 Volvo Penta wants to be everywhere in your next boat, not just in the engine room. It was indeed a long flight, but as it turned out, well worth it, as there was much more to the story than two engines. For starters, there are actually four new diesels, all versions of the D8, a 7.7-liter, in-line six that earned its stripes in Volvo trucks. 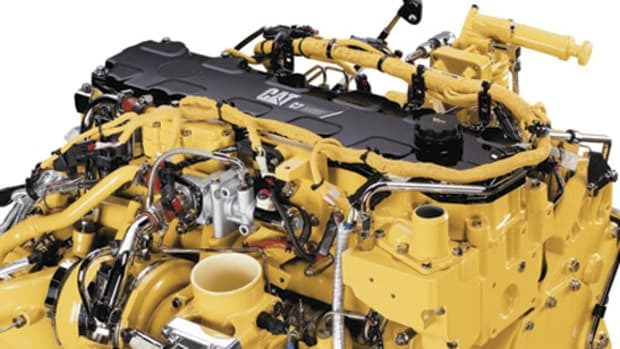 The inboard duo, designated the D8, is available at either 550 or 600 horsepower; the IPS duo, designated the D8 IPS700 and D8 IPS800, respectively, is available with the same horsepower ratings. The latter nomenclature is itself new: Heretofore IPS did not include an engine designation—e.g., IPS600. Expect all IPS packages to eventually be designated first with the engine model, and then with the IPS designation. What made this unveiling particularly interesting is that there’s already an IPS800 in the line; it’s rated at 650 horsepower and uses the much larger D11 engine, a 10.8-liter, in-line six. So what’s going on? It seems Volvo is aiming to replace a much larger and heavier IPS package with the D8 IPS800, which has the second-best power-to-weight ratio in the line. The improvement is striking. 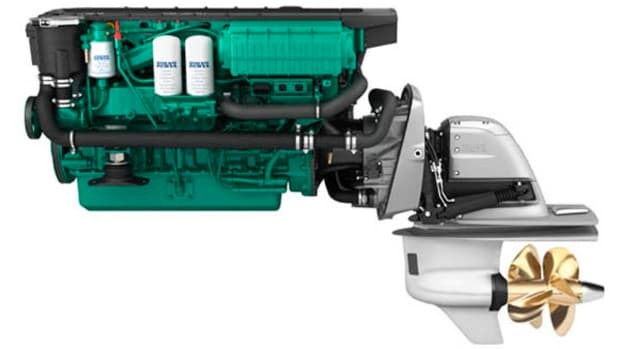 The D8 IPS800 weighs 3,109 pounds, compared to 3,968 for the IPS800—a total savings of 1,718 pounds in a twin-engine boat. Whatever the eventual fate of the IPS800, the D11-based IPS900 will no doubt remain in the line. Along with the new engines comes an interesting tweak in their aspiration. 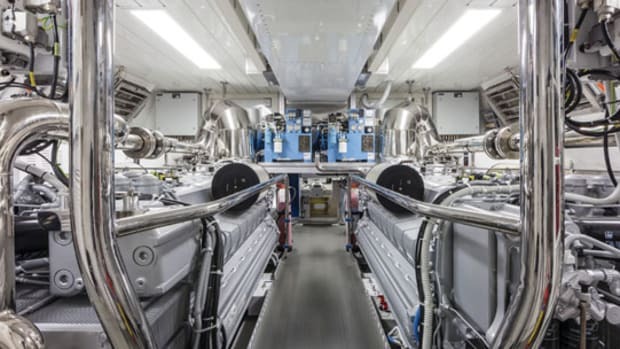 Although ostensibly identical, the D8 inboards feature both a supercharger and a turbocharger, while in plain IPS guise, they have just a turbocharger. (The supercharger is on line only until around 1,800 rpm, at which point it automatically disengages.) Volvo’s explanation is that conventional inboards have inherently more prop slip than the two-prop IPS, and therefore don’t need the extra low-end torque. 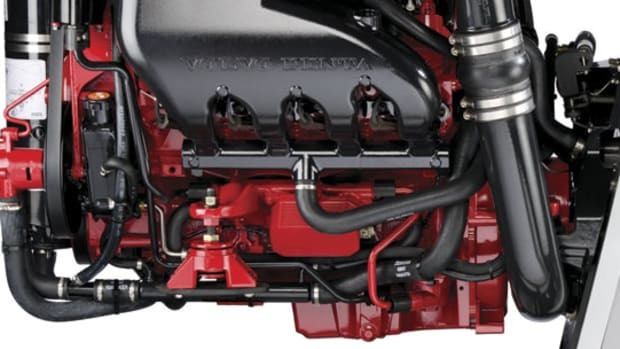 This pair of D8s erases a gap in Volvo’s inboard line between 435 and 600 horsepower; with them there are now 16 Volvo Penta diesels between 150 and 900 horsepower. The same is true of the IPS lineup, although the individual engine designations reflect Volvo’s assertion that IPS’s greater efficiency warrants a higher number. Hence the range runs from the IPS350 to the IPS1050. There’s also news regarding the IPS drive: The line has been rejiggered to better match each engine’s output. The D8 700 and 800 are mated to a new IPS designated IPS 15. 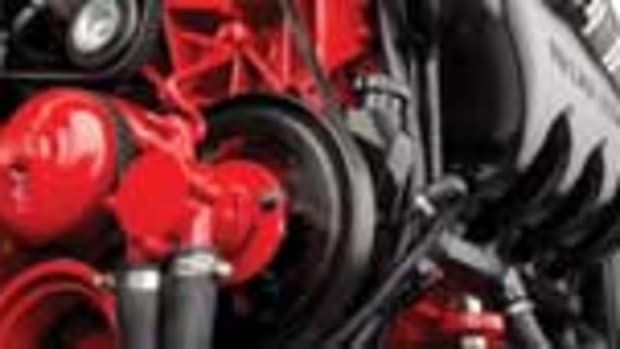 That brings to four the total of IPS units that get new designations: IPS10, rated up to 435 horsepower and 3600 rpm; IPS15, rated to 600 horsepower and 3,000 rpm; IPS20, rated to 725 horsepower and 2,500 rpm; and IPS30, rated to 900 horsepower and 2,300 rpm. So in the end there were plenty of engine developments to justify a transatlantic trip. And engines and drives weren’t the only news. 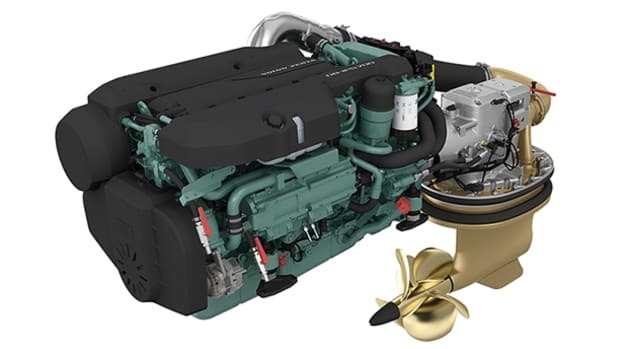 For in also introducing two new non-engine products, Volvo served notice that it wants to be much more than a provider of propulsion systems. The e-Key remote aims, in Volvo’s words, to make “unlocking and starting a boat … a lot like starting a car.” No, you can’t actually start your engines with it, but the e-Key will let you turn your batteries on and off, and control the Volvo EVC system from as far away as 300 feet. You can also program it to power up/down accessories such as lights, a passerelle, or a windlass. 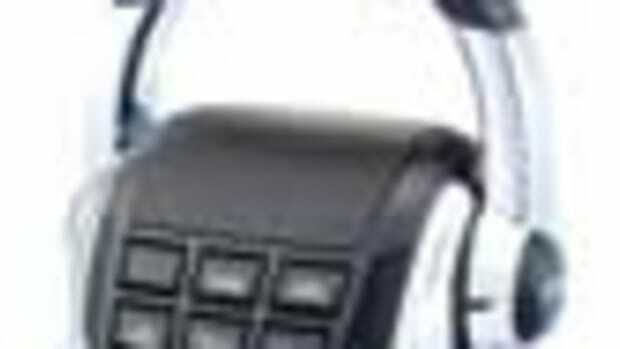 Each e-Key connects to your vessel via a unique digital identifier, providing security against unauthorized use, and one vessel can be paired with as many as four keys. The other product is a battery management system that’s so comprehensive that it will require a future column to properly explain it. Briefly, it not only monitors parameters like battery condition, current flow, time to full/empty, and battery health via a helm-mounted display, but it can also automatically borrow energy from other batteries if one is weak. Both systems could theoretically be retrofitted to existing vessels, but they’re really intended to be built in from the start. Combined with Volvo’s Glass Cockpit and joystick control (now compatible with straight, bow-thruster-equipped inboards) and its acquisition of a majority stake in Humphree, creator of the Interceptor trim control, Volvo aims to be the one company that finally integrates all the disparate marine systems. Now that’s news worth traveling for.